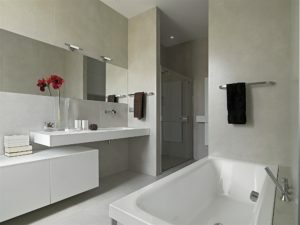 Home / BATHROOM REMODELING AND MAINTENANCE INFORMATION BLOG / Baths vs. Showers: Which Is Better? Baths vs. Showers: Which Is Better? Chances are everyone reading this article has a preference when it comes to showers vs. baths. We all have our preferred method of bathing and switching to another can feel strange and off-putting. Which method is actually better for you? Or your monthly bills? Or for the environment? We take a look at the advantages and disadvantages of both baths and showers below. • They’re fast: Your average shower is much shorter than your average bath. 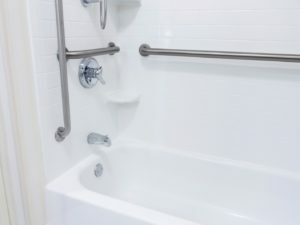 Instead of waiting for the tub to fill, and then soaking long enough to feel clean, showers only require you to wait long enough for the water to heat up before you can jump in and get to work. If you’ve got things to do, showers are the way to go, hands-down. • They use less water: Another benefit of showers being shorter than baths, aside from saving you time, is that showering also uses less water. This is an advantage for showers in two different ways: it keeps your water bills down, and it reduces your environmental footprint by reducing the amount of water you consume. In short, showers are good for both the budget-conscious and the environmentally conscious. • They’re more effective: Baths have their advantages, but one big mark against them is that they’ll never get you as clean as a shower does. Since baths involve sitting in a non-circulating pool of water, all the dirt and grime that comes off ends up diffusing throughout the very water you’re using to clean yourself off. With showers, the steady flow of water means that what you’re washing off goes down the drain. Some of the readers of this article are surely already asking themselves, “But what about baths?” If that’s you, don’t worry – despite the advantages showering may have over soaking in the tub, baths have their own positives, as well. • They’re relaxing: There’s nothing quite as relaxing as soaking in a tub full of warm water. For all that they’re good at, showers just can’t offer the same relaxing time that a warm bath can. • They’re good for the circulation: Another benefit of baths: they’re good for your health. A warm bath dilates your blood vessels, allowing more blood to flow through them at once, which in turn means more oxygen is being delivered to your brain and other body parts. • They relieve pain: Lying down in a bath takes the weight off your joints and the warm water relaxes your muscles, all of which helps relieve aches and pains. If you suffer from chronic pain, in particular, a warm bath can be an essential part of pain therapy. Want the perfect bath or shower enclosure for your home? Give American Bath Enterprises, Inc. a call today at 888-228-4925 to speak with our bath and shower installation experts.